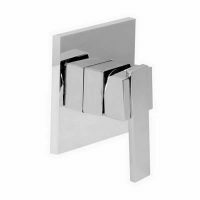 For a highly practical basin mixer tap that boasts class, choose the Venus MK2 Basin Mixer. Featuring a brilliant ergonomic design and elegant chrome finish, this gorgeous mixer tap will perfectly complement the interiors and décor of any bathroom space. The Venus MK2 Basin Mixer features the perfect combination of excellent performance and classic looks. 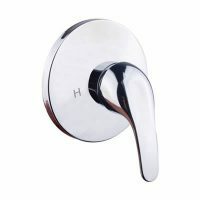 Built from sturdy DR brass construction, it is highly durable whilst being incredibly easy to operate. 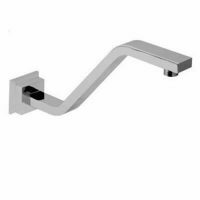 This basin mixer is a WELS and Watermark approved product. It is equipped with two Watermark approved hoses for use with hot and cold water. It also features an impressive WELS 5-stars rating and features a water flow rate of 5 litres per minute. The Venus MK2 Basin Mixer not only meets Australian standards, but also exceeds them. It is equipped with a 35mm ceramic cartridge and offers precise control over water flow. As a superior grade product offered by Alpine, this mixer tap is backed by several guarantees. These include a 5-year guarantee on the tap body, a 2-year guarantee on the cartridge, a 1-year guarantee on the chrome finish and a 3-month guarantee on the rings and washers. The Venus MK2 Basin Mixer is a high-quality product with a budget friendly price tag. Grab yours today at an incredibly affordable price – only at Ross’s Discount Home Centre!